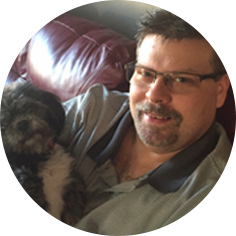 Terrence Glenn Schoffer, aged 44 years of Moose Jaw, SK, passed away on Friday, January 15th, 2016. He was predeceased by his father, Glenn Schoffer; Grandma and Grandpa Schoffer; grandpa, Bert Drackett; and uncle, Les Schoffer. Terry is survived by his son, Tristyn Schoffer; mother, Linda Schoffer; sister, Char (Clair) and her children Stacia and Taylor; Grandma Drackett; uncle, Carey; Darrell Moffat; dogs, Porter and Kia; as well as many other family and friends. A Private Family Graveside Service will be held at a later date.